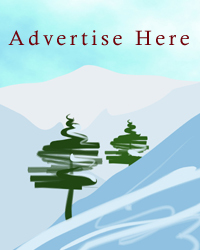 Banner and box advertising is available throughout our site, this is a good way to promote your business or home. 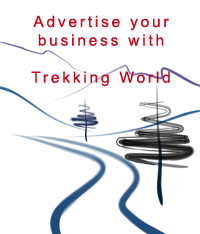 Please choose a section of our site where you would your advert to appear and we will do the rest. Banner Sizes: 600 pixels x 100 pixels this can be tailored to suit but no larger than 600 pixels wide, positioned at the top of each page (limited to one banner per page) £195.00 yearly. Box Sizes: 200 pixels x 150 pixels or 200 pixels x 250 pixels (this can be tailored to suit your requirements - please contact us with any questions) £156.00 or £195 yearly, depending on size of advert. Typical advert size can be viewed on the right hand side of the page. We will require you to send us your text together with any images for your advert together with all your contact details via e-mail, or post to us on disc plus your payment payable to Trekking World, to 116 Crest View Drive, Petts Wood, Kent. BR5 1BX. Once payment has been received your advert will be added to our site within 48 hours.